- It all started with a trip to Greenland in 1970. Three Danes, a couple of dogsleds, and several years of study later and the omega-3 phenomenon was born. Since then, awareness and understanding of marine omega-3 has sky-rocketed. Dr. Dyerberg holds a unique place in nutritional research. As a young doctor, curious about the Inuit’s high fat diet and low incidence of heart disease – and attracted by the opportunity to dog sled over the ice and snow – he set off with fellow countrymen Hans Olaf Bang and Aase Brondum Nielsen for the north-west coast of Greenland. The young Danes sought to understand how the Greenland Eskimos or Inuit as they prefer to be called, could eat a high fat diet and still have one of the lowest death rates from cardiovascular disease on the planet. “We set off with the plan to first look at their blood, and then look at their diet,” he said. Back in the early 70s the Inuit were still a hunter and fisherman society, living mostly on seal meat and fish. And yet heart disease accounted for 5.3 per cent of deaths amongst Greenland males, aged 45 to 64, compared to their US counterparts eating a vastly different diet where 40 per cent of deaths were due to coronary heart disease (CHD). These early studies yielded a landmark paper in The Lancet, published in 1971. The researchers reported favourable blood lipid levels amongst the Inuit, but this, in itself, could not explain the far lower heart disease incidence, he said. “After presenting the lipid data in The Lancet, we had a very old gas chromatogram that enabled us to do sample analysis on 130 blood samples. After two years of analysis (today it would take about a fortnight) we reported that we’d found two fatty acids, eicosapentaenoic acid (EPA) and docosahexaenoic acid (DHA),” said Dr. Dyerberg. And despite the explosion of omega-3 in science and the marketplace, it looks like the last word is a long way from being spoken. Dr. Dyerberg quoted literature reporting improvements in blood lipid levels, a reduced tendency of thrombosis, improvements in blood pressure and heart rate, and improved vascular function. The science explosion has been followed by consumer and product blast-off. Different ratios for EPA (C20:5 n-3) to DHA (C22:6 n-3) are being marketed, or DHA alone, or products containing alpha-linolenic acid (ALA, C18:3 n-3), a shorter long-chain omega-3 from plants. As for ALA, an omega-3 from plants that is converted in the body to EPA and subsequently DHA, he was unconvinced. In terms of biological effects of DHA and EPA, Dr. Dyerberg said there are many. “We don’t know of any specific biological effects of ALA,” he said. “Tissue experiments give you an ALA concentration of zero. This omega-3 is either burnt or converted,” he said. “And the conversion is low.” However recent work emerging shows that there may indeed be beneficial effects of consuming ALA as well as the long chain omega-3., so this author believes it premature to write off the role of ALA, there is a still a lot we do not know. “If we want the benefits of omega-3, we have to eat them as long chain,” he said, referring to EPA and DHA. For heart health, he said he expects EPA and DHA to be established for the prevention of cardiovascular disorders, with public health recommendations introduced. Recommendations will also become broader and broader, he said, including supplements during pregnancy and early childhood. This is because of the benefits reported for mental development, and there are studies that show omega-3 supplementation can influence breast milk composition and subsequently a child’s brain, he said. Less certain was the potential of omega-3 to prevent the development of cancers, he said, despite some epidemiological and animal studies reporting interesting data for breast and prostate cancer. The future of omega-3 will also involve resource issues. “The sea is limited, and alternative sources could be needed,” he said. Many have already started down this path, with companies sourcing omega-3 DHA from algae, and scientists looking to genetically engineer plants to produce EPA, and maybe one day, DHA. A study by Oxford University researchers showed that cognitive ability in older people was markedly enhanced by consuming fish. On another note recent work in the USA showed no difference in bioavailability and physiological activity between fish or fish oil supplements. One of our members, Associate Professor Welma Stonehouse is also researching this interesting topic. She helped organise the recent Nutrition Society conference at Albany which was a resounding success. Professor Bill Harris (below) was a keynote speaker and spoke about the omega-3 index. A new book published by the Oily Press, “Long-Chain Omega-3 Oils” is an excellent practical read on the science technology and economics of the recent business for omega-3 oils. See www.pjbarnes.co.uk/op/om.htm for purchasing details. This organisation has a new Executive director, Ms Monique Cashion. Wendy Morgan steps down and will be a scientific adviser. 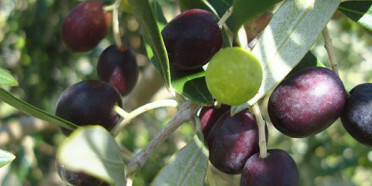 A recent paper in The Journal of Food Science and Agriculture, ( 87;2721-2727,2007) reports the effects of destoning olives on the phenolic content of extra virgin olive oils. Polyphenols are attributed with a great deal of the beneficial effects of olive oil and they also have a major role in the flavour profile. The seeds were found to contain peroxidise and this can lead to a reduction in the amount of polyphenols in the oil. Increasing the seed content decreased the phenolic content. This author recently visited the excellent facilities of Modern Olives at Geelong. The Technical Manager, Leandro Ravetti, and the Laboratory Manager, Claudia Guillaume, have an excellent facility with state of the art analytical equipment for oils and fats. The site also hosts a modern Robot assisted bottling plant with the latest GMP practices and quality control procedures. They offer an up-to-date analytical service particularly dedicated to olive oil. The parent company Boundary Bend is Australia’s leading olive oil producer and now exports to USA, France and the UK. It achieved sales of $8M and was recently awarded an export prize. The book also is selling slowly but surely and we await reviews in AOCS and Food Australia.